Diagnosing sleep apnoea can now be done at home using a small unobtrusive monitor which measures snoring, blood oxygen levels and reductions in air intake when breathing. Snoring is a sign of obstruction and 70% of people who regularly snore also have some degree of sleep apnoea. If you are using an oral appliance it’s great that your snoring has stopped and you are feeling refreshed however you need to get objective evidence to know it’s working fully in getting rid of your sleep apnoea. We can organise a sleep study while using the appliance in order to measure its effectiveness. If you are not accessing treatment now is the time to start. 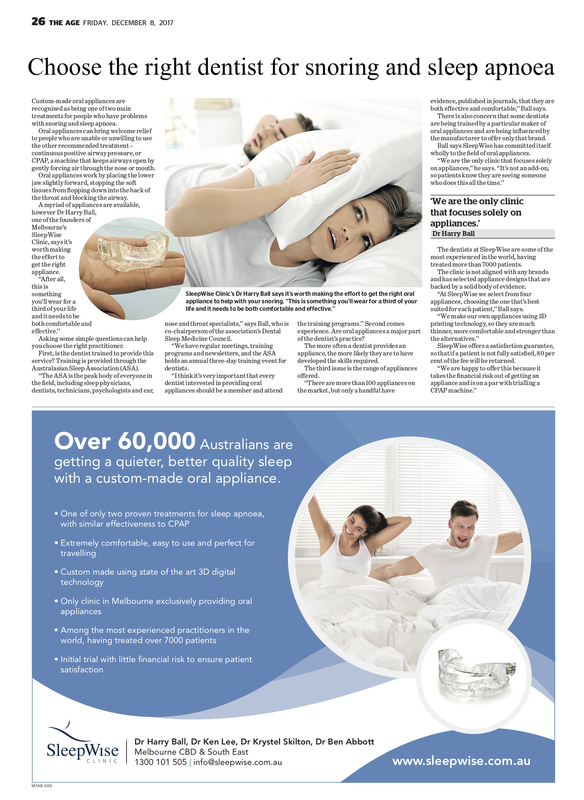 Oral appliances and CPAP are the two proven treatments with oral appliances far more comfortable. The purpose of the sleep study is not just to identify the presence of sleep apnea but most importantly to determine the severity. The severity of sleep apnoea is important for choosing the best treatment. It is also important to know the severity when adjusting an oral appliance in order to get the optimal results.